This week a photograph emerged of what appears to be a new Chinese fighter. 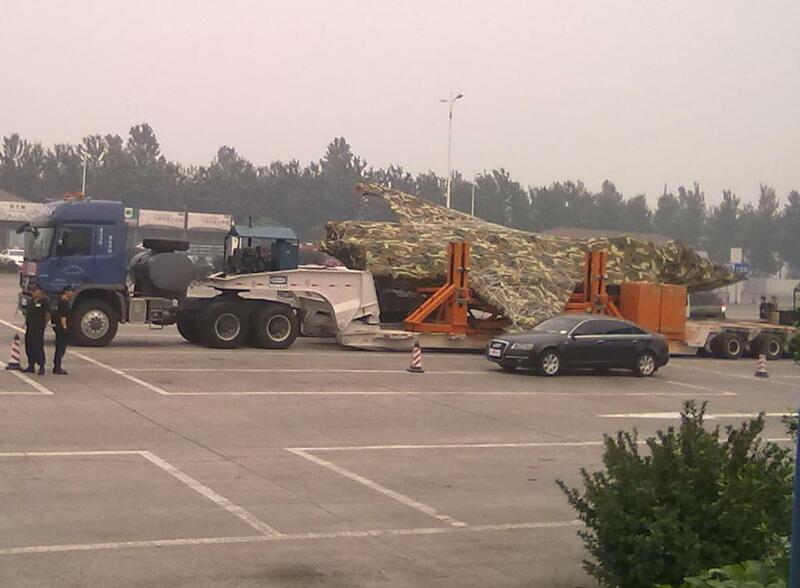 The mysterious aircraft wrapped in a camouflage tarpaulin was delivered from Shenyang by flat-bed lorry to a testing location. The shape (it is possible that it is a mock-up) appears to have no tail surfaces or canopy fitted. It is likely that this is the new Shenyang Aircraft Corporation J-21 (the designation J-60 has been used by some in connection with this aircraft), the Chinese equivalent to the US Lockheed Martin F-35 Lightning II. The shape is apparently similar to that of the F-35, with faceted low-RCS shaping and a conventional wing and tail. The aircraft seems to be somewhat smaller than the F-35 (which is 15.67 m long), with an estimated length of 14-15 m, though size estimates are notoriously difficult to get right. A good example of this is the J-20; early guesstimates put the aircraft as long as 22 metres, whereas today many analysts believe it is not much bigger than than the 18.90 m long F-22 Raptor . There is some confusion about how many engines the new aircraft will have, but this shape appears to be twin-engined, unlike the single-engined F-35. 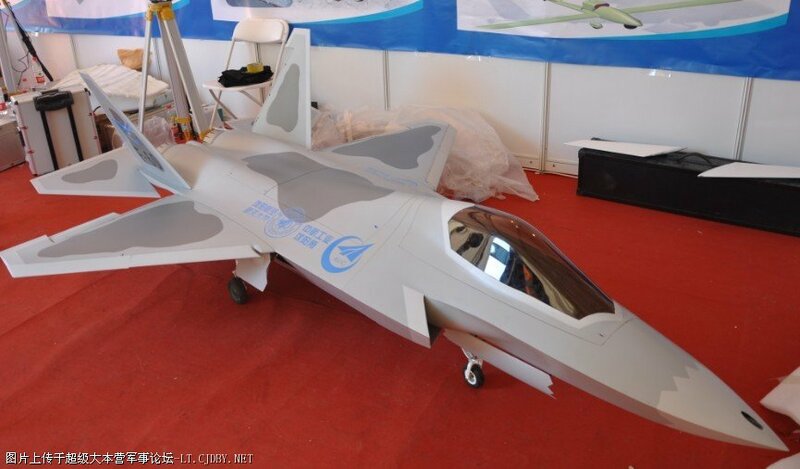 It seems likely that the aircraft will be twin-tailed, with outward canted vertical fins. That it was transported by road and allowed to be photographed suggests a staged leak. Alternatively, the aircraft could be the rejected XXJ contender that lost out to the J-20, this aircraft may carry the designation J-19. But, this seems unlikely as the airframe appears to small for this fighter class. 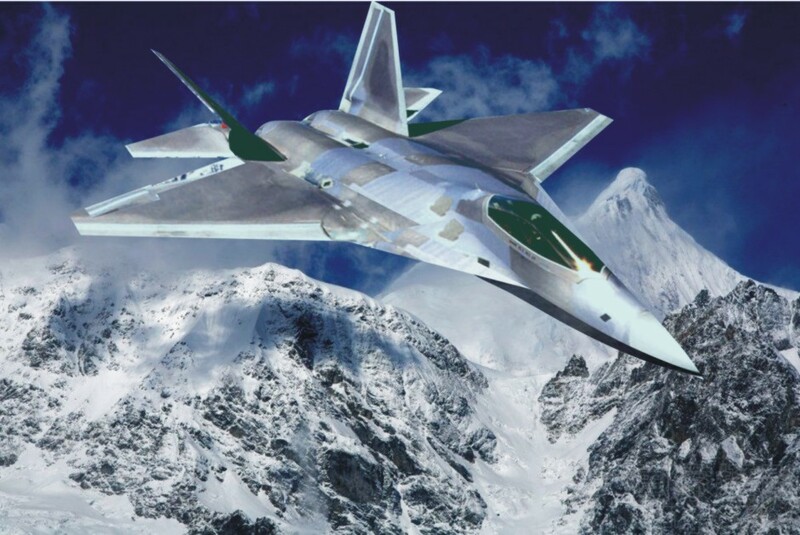 It seems that Lockheed Martin have set a template for what a modern low-RCS fighter looks like, and the F-35 and F-22 are likely to influence most fighters now in development (though the Russian Sukhoi T-50 PAK FA with its wide-body shares something of the YF-23, and the J-20 is an altogether different concept). Several models and artist’s impressions (above and below) have been realised purporting to show the configuration of China’s next fighter. If the new fighter has not yet been test flown it is unlikely to enter service before 2025. Meanwhile the USAF has announced a thirty year plan, which includes a 6th generation fighter to replace the F-22. Though many see China’s fighter developments as a threat to the US’ technological lead, it is still clearly around 20 years behind the US in this field. China does not appear close to having a 5th generation aircraft in service and both the USAF and USN have begun studies into their 6th generation. It should be noted that many do not agree with the use of the popular Lockheed Martin-defined ‘5th Generation‘ term. Eurofighter have pointed out that Lockheed Martin have manipulated the term to fit their marketing needs. If used as originally defined by Lockheed Martin- as a supercruise capable, super-manouevrable, steathly fighter with sensor fusion- the F-22 is the only 5th Generation aircraft. The F-35, which lacks the first two capabilities, is not. With Russia dedicating its future efforts to heavy fighters, (the PAK FA and Indo-Russia Sukhoi/HAL FGFA) there will be a strong market gap for a lighter stealth fighter for nations wishing to avoid the US sphere of influence. Perhaps the J-21 could prove an export success and end up as the MiG-21 of the future? The sighting of the J-31 in September 2012 led many to believe that the aircraft on the truck was not fact the ‘J-21′ but the J’-31′. 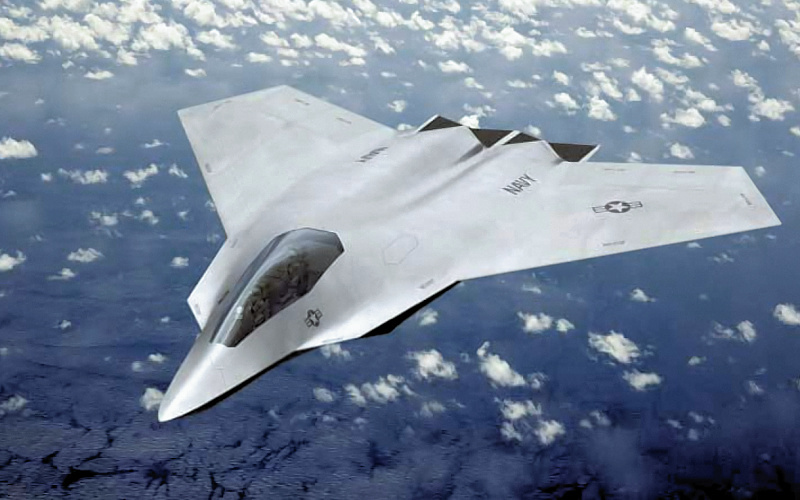 One Boeing concept for a 6th Generation fighter. The traditional vertical control surfaces are replaced with thrust vector control.